Water and soil resistant cone covers. 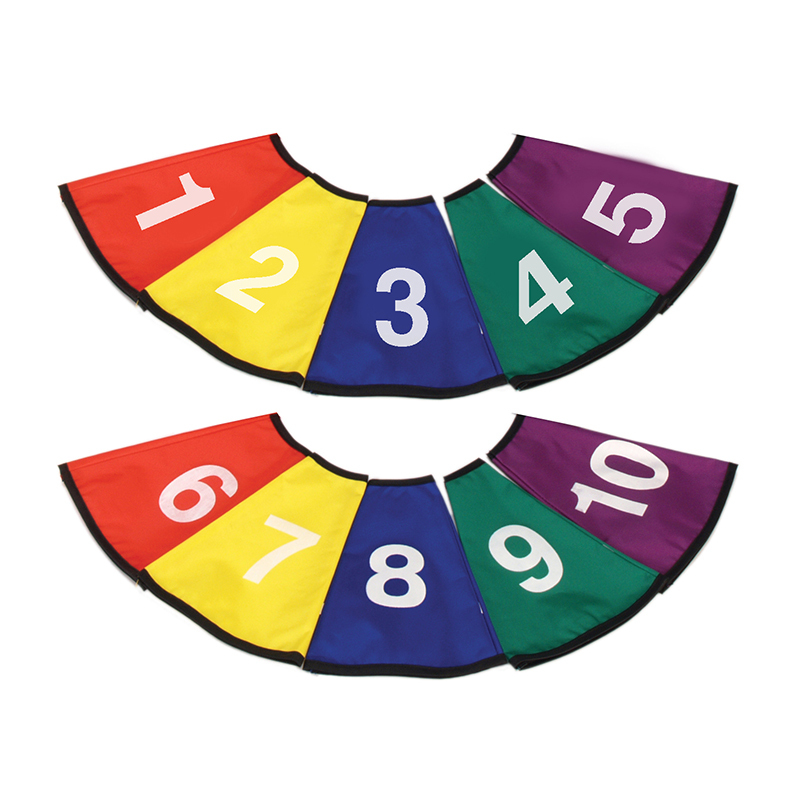 Large 4" numbers (1-10) are ideal for stations and circuit training. Set of 10 in five assorted colors.